It was shortly after chow that evening, I don’t remember the exact date…it’s happened way too long ago. I sat on the top of a bunker smoking a cigarette and looking out over the runway. We were on detachment from our base in Danang our objective was to replace the runway matting with new state of the art materials and get the job done in one week. Today was just another day in An Hoa, and as always, it was a stretch to find something of interest to pass the time after work. 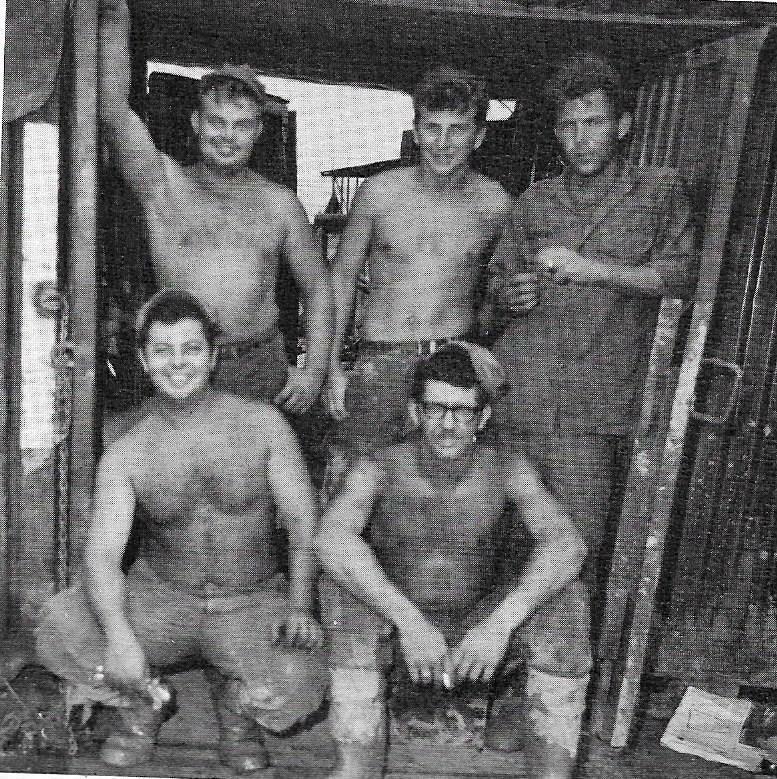 Tonight, my agenda was, chow hall, a smoke, back to the hooch to write a few letters, and off to the NCO tent for a couple of brews. After that, back to the hooch for hopefully a good night’s sleep uninterrupted by incoming rockets and mortars from ‘Charlie’. The few moments of relaxation and solitude sitting on the bunker were well deserved. 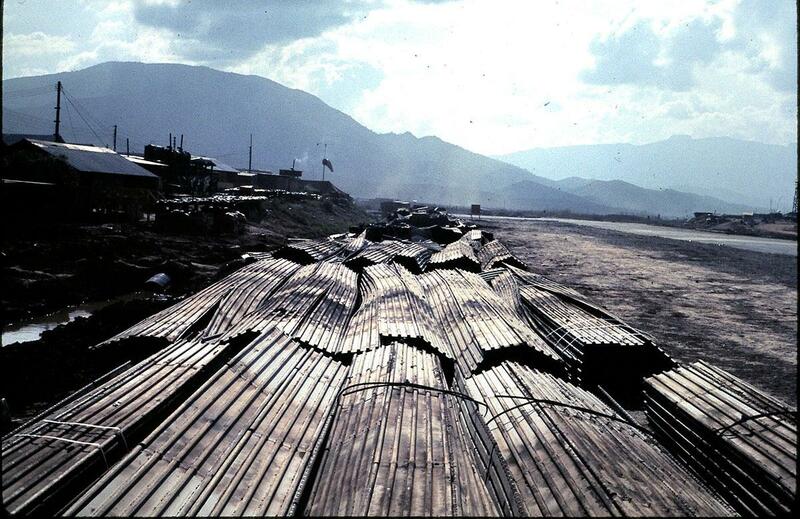 This was a typical day in South Vietnam, hot and muggy. The two conex boxes that served as our mechanic shop were like bake ovens and so we worked in the field as much as possible. Like most days, today was full of repairs and PM’s. Our crews were working around the clock to get this project done, so the equipment got pushed to their limits. With only four of us to handle the day’s workload, time flew by quickly. I’d just tossed my cigarette out on the runway and jumped from my seat on the bunker when a Huey dropped down and hovered about twenty yards in front of me. This wasn’t too unusual, since An Hoa had an underground MASH triage unit next to the runway. 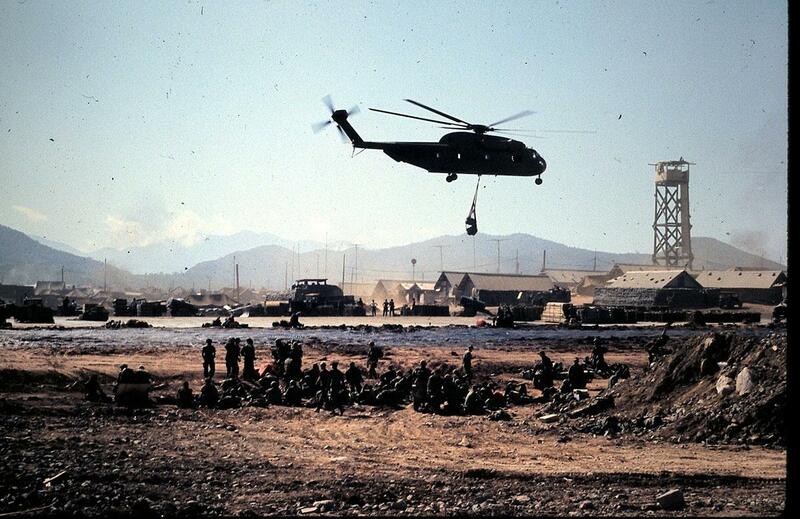 We certainly got our share of chopper drop offs. In spite of this fact, I was curious, and since I was in no immediate hurry to go anywhere, I watched as the chopper evened itself out and landed. As the blades slowed down, the grunt sitting in the passenger’s seat waved at me to come over. Instinctively, I ran to the Huey. The Marine who’d waved me over, jumped out and gathered together the ends of a large olive drab bag. “Give me a hand.” the grunt shouted at me, raising his voice over the roar of the Huey’s engine. I nodded and stepped up to the chopper door. He shoved a section of the bag towards me. As I grabbed it I realized the bag was a poncho. As we lifted it from the chopper, it was heavy. I understood now why he couldn’t move it by himself. We carried it about hundred feet to our left and we set it down next to the morgue. The grunt thanked me for my help, but his face remained expressionless. And while I had a good idea as to what was contained in the poncho, my curiosity prompted me to ask him for the answer anyway. “It’s a grunt, one of my fire team. He stepped on a booby trap made from an unexploded bomb.” The Marine answered. I didn’t know what to say, so I stood there silently. With that he turned and walked back and boarded the Huey. Moments later I watched as a medic sorted through the body parts contained in the poncho. It didn’t take him long, all bloody he held up the man’s dog tags as if they were some sort of trophy. As the days went by I made a habit of going passed the morgue there seemed to always be at least one or two bodies on the ground outside of it. That meant the morgue was full and until transportation could be secured those soldiers would have set in the hot sun. This event along with many others from my time in Vietnam will remain etched in my mind forever. It will stay new even as other things that I’ve experienced in my life fade with time.